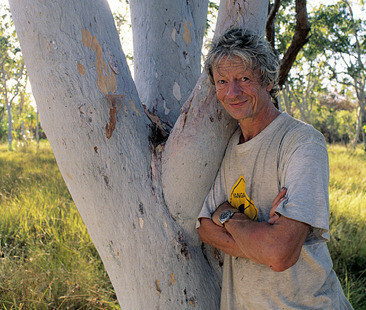 In 1996 Mark embarked on a seven-year solo journey around Australia to shoot a book on the land that he has come to love. This project culminated in his spending three years in the company of Aboriginal Elder ‘Big Bill’ Neidjie in his tribal country, Kakadu National Park, in the Northern Territory of Australia. During the time they spent together, Mark recorded hours of tape with ‘Old Man’ and was also permitted by Bill to photograph country that few people have explored. These pictures, which accompany Bill Neidjie’s thoughts, appear in the book 'Old Man's Story', published by Aboriginal Studies Press in July 2015.